Kathy Ann Gianino is the oldest of 5 from an Italian American Catholic family in a suburb north of Boston. She attended a co-ed parochial school from first through 12th grade taught by St. Joseph nuns. 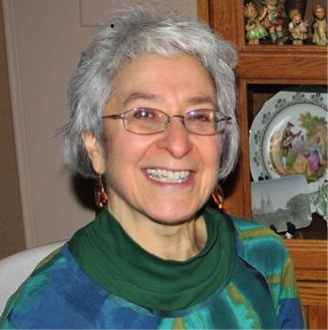 She received a bachelor’s degree in elementary education and a master’s in special education, which resulted in a 34-year career as a primary level special education teacher in a suburb south of Boston. Kathy Ann retired from teaching seven years ago and volunteered as a teacher for two years after that; she is now involved with eldercare for her mom. This past year she began providing childcare for a grandniece. Kathy Ann also has other volunteer commitments such as The Friday Night Supper Program and Harbor to the Bay. Kathy Ann is a longtime active member of the Dignity Boston community where she introduced liturgical dance to her chapter, as well as Dignity USA. Through the years she has participated in gatherings with Women-Church Convergence, Conference for Catholic Lesbians, Women’s Ordination Conference, Call to Action, and Dignity’s Committee for Women’s Concerns. Through a Dignity friend, Kathy Ann was introduced to Alice more than 16 years ago, which resulted in a glorious, spiritual and legal marriage in the presence of their families, friends, co-workers, and the Dignity community. This year, Alice and Kathy Ann look forward to celebrating their 11th wedding anniversary. REGISTER HERE to receive dial-in number and then a short piece by Kathy Ann before the event. Email the words “Register Me Kathy Ann” to Cathy at waterstaff@hers.com.